Dolly completed a move from Mamelodi Sundowns to France during the January transfer window last year, and has made considerable strides in his career thus far. The 25-year-old winger has notched up 25 appearances for La Paillade, with 14 of those having come this season. 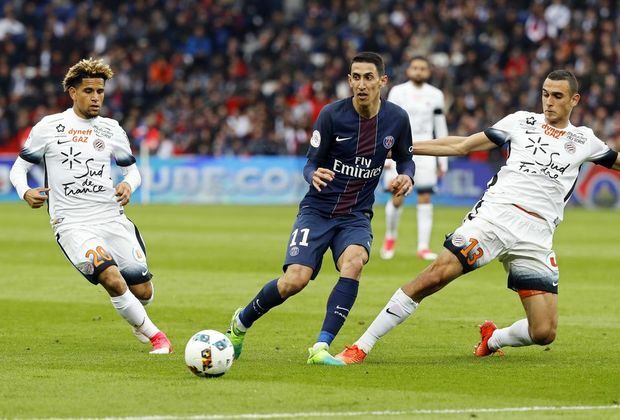 He has also registered two assists in four starts over the past four weeks, suggesting that he is finally beginning to find his feet in Montpellier. “It was not easy when I first arrived but I think everyone – from the team, coaching staff to the technical staff – did everything to make me feel good and adapt as quick as possible,” Dolly told his club’s website. “Even now, as someone coming from South Africa and not being able to speak fluent French yet, it’s still difficult. “I got some playing time after my arrival last year, but I’ve still had to adapt to the style of play here in Ligue 1. “Things are getting better now and, after a difficult start to the 2017/18 season, I’ve started playing a little more. Montpellier, who are sixth on the log, next face 10th-placed Guingamp in Round 26 of Ligue 1 on Saturday evening. The match could see Dolly come up against fellow South African midfielder Lebogang Phiri, who has made 17 appearances for Guingamp this season.